Combining the features and functionality of the established B-EX range, the B-EX4T1 series has the added benefits of near edge technology, left edge aligned media and an 800m ribbon; the longest ribbon in the marketplace. This means fewer media changes and a lower cost of ownership. The range is ideally suited to ‘no-nonsense’ replacement of competitor estates and are available in a variety of resolutions for the most diverse industrial printing applications. 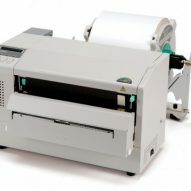 Toshiba have combined 60 years of Auto-ID knowledge, with an extensive R&D and critical ‘voice of customer’ feedback with the exceptional qualities of their market-leading industrial printer range to design and manufacture a thermal printer series with enhanced performance, serviceability and truly green credentials. 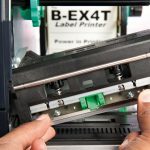 The B-EX series combines the tried and trusted features and functionality of the B-SX range with enhancements to increase performance and operabiity. 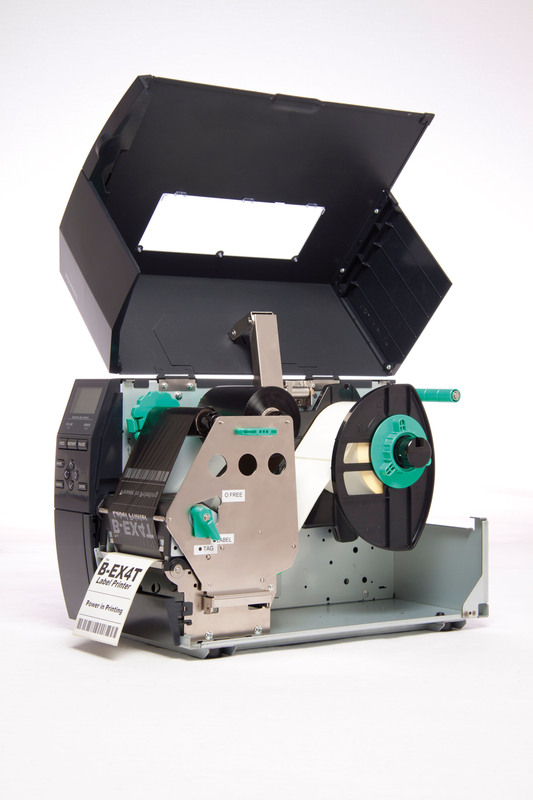 Low Energy Every Toshiba label printer is equipped with the world-class Green technology ribbon saving function. 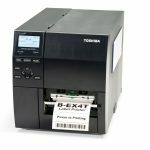 With a nearly 40% overall lower power consumption compared to its predecessor, the Toshiba B-EX4 benchmarked nearly 50% lower power consumption on stand-by power against competitor label printers. User-friendliness The Toshiba B-EX4 comes with premium capabilities standard on board. 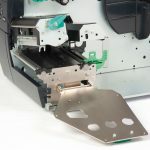 The patented snapin print head and a tool-less platen replacement are the two major components that now can be serviced by the user, reducing the hardware service cost. A unique LCD graphical ‘helpdesk’ display improves the settings operation, reduces training requirements and allows users to take immediate corrective action where needed. 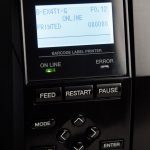 This extensive Help Function utility is as easy as it gets and unique to this market segment of industrial printers. 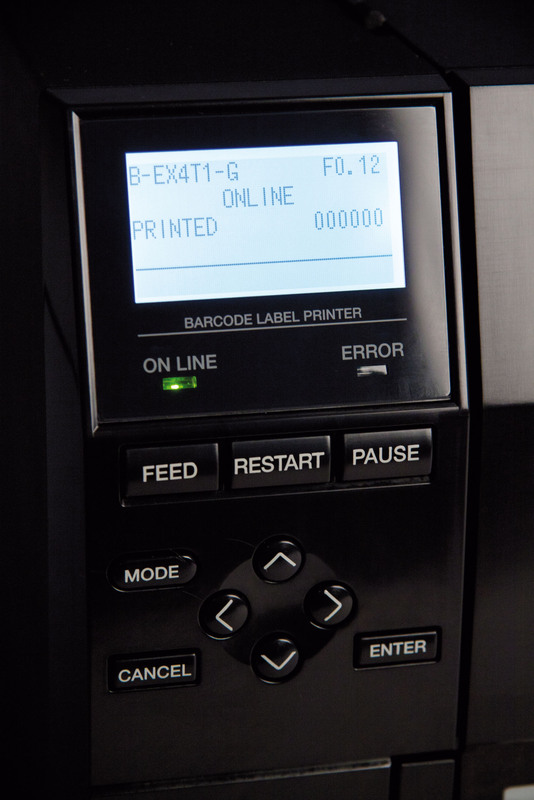 Also new in the industrial printer range are the B-EX4 built-in automatic thermal head resolution detection function, DHCP address display and an automatic feeding/back-feeding function to the default position. Durability = Low Service Cost Durability is the watchword for Toshiba industrial printers. 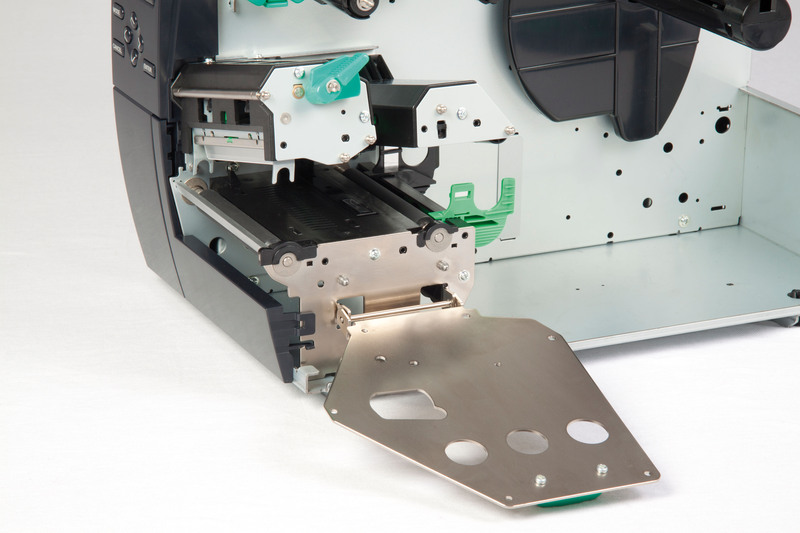 The Toshiba B-EX4 includes a print head lifecycle of around 4 million inches (100km). 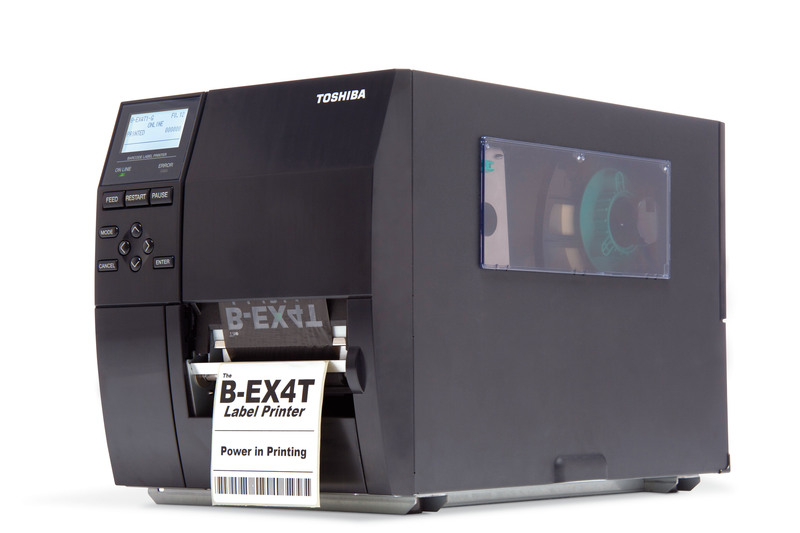 Built on the success formula of the BSX4, the B-EX4 is a value-packed industrial printer with double ribbon motor control, automatic centre media loading, edge type print head, side media opening and additional cost-efficient and user-friendly features on board. 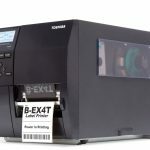 Usability The Toshiba B-EX4 has a real-world print speed of 14ips compared to 10ips for the B-SX4, increasing the printer’s productivity by 40%. 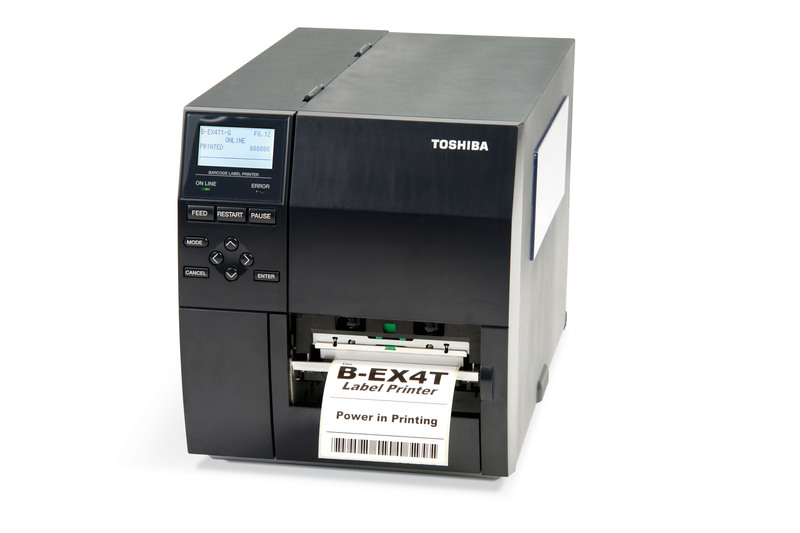 Standard equipped with Ethernet and USB 2.0 and optional parallel port and wireless LAN capability, this Toshiba B-EX4 is packed for fast-paced industrial printing applications with minimal need for maintenance. 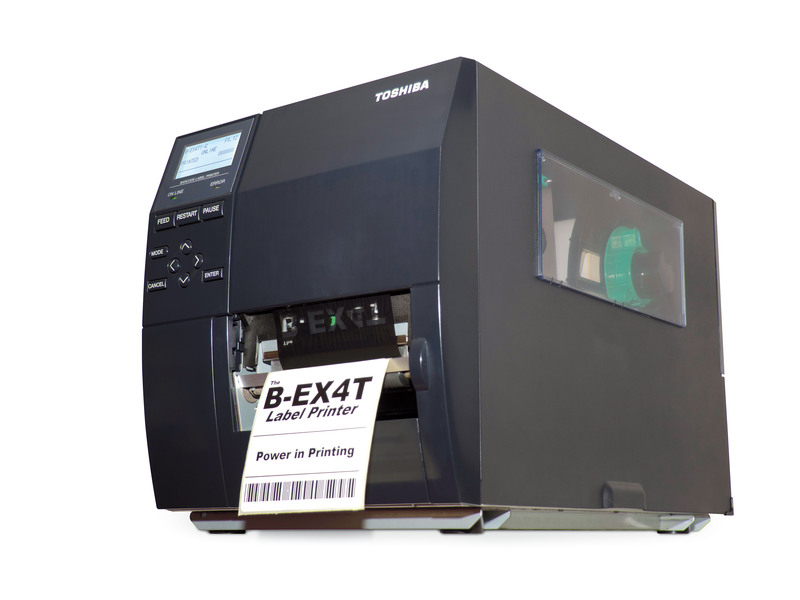 Reliability and performance usually come at a cost, but with the B-EX series, premium capabilities come as standard, essentially lowering initial capital outlay and future-proofing your investment. 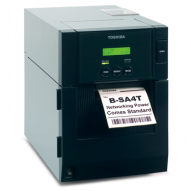 The Toshiba B-EX4 at lower than 9W in stand-by, is the ecological industrial printer that qualifies for a Energy Star program, With a nearly 40 % overall lower power consumption on stand by power compared to its predecessor. 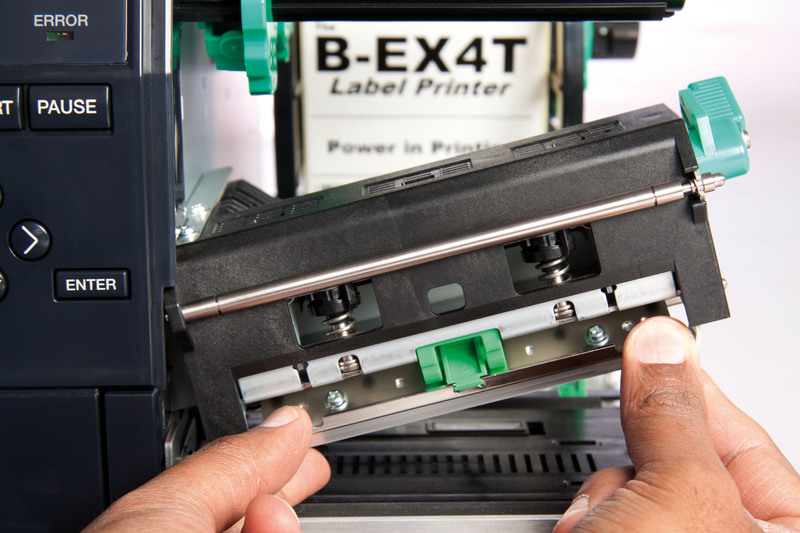 With a speed of 14 ips, the B-EX4 boasts a 40% improvement in productivity on the SX range (10 ips). Ethernet and USB 2.0 are standard with options for parallel, serial and wireless LAN. 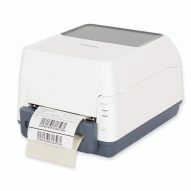 It is fully compatible with the B-SX range, allowing for the swift migration of legacy printers. In addition, advanced processing capabilities facilitate high throughput. 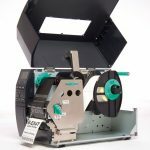 Continuing on from the easy operation of the SX range, the B-EX range also incorporates a user-replaceable snap-in printhead and platen roller, further reducing maintenance costs. The unique intuitive graphical LCD ‘helpdesk’ display improves usability and prompts even the novice user to take immediate corrective action where necessary, keeping user training to a minimum.